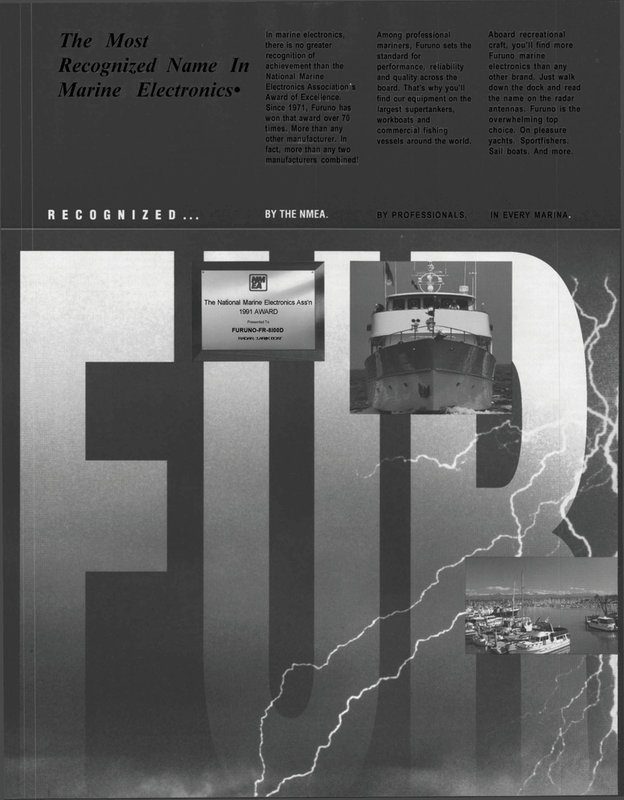 Furuno marine electronics than any other brand. Just walk down the dock and read the name on the radar antennas. Furuno is the overwhelming top choice. On pleasure yachts. Sportfishers. Since 1971, Furuno has won that award over 70 times. More than any other manufacturer. In fact, more than any two manufacturers combined! Among professional mariners, Furuno sets the standard for performance, reliability and quality across the board. That's why you'll find our equipment on the largest supertankers, workboats and commercial fishing vessels around the world.